Digging in the sand can be such hard work, but is too much fun for this dog. 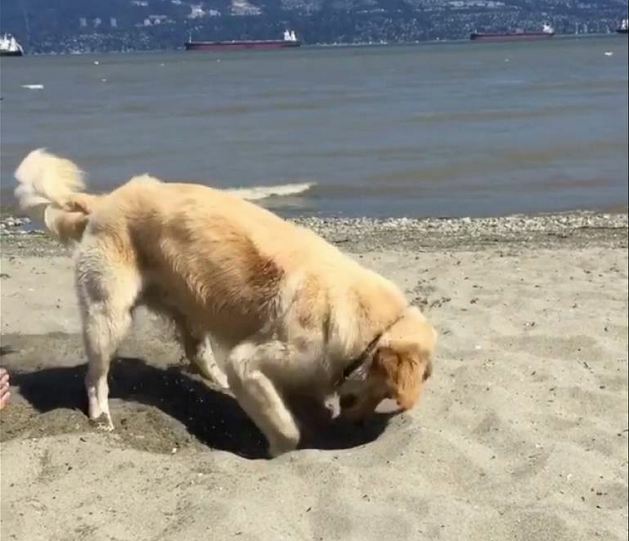 This dog takes a break after digging a hole at the beach only to jump to his feet seconds later and begin furiously digging again. Watch how his hilarious surge of energy makes his family laugh. Dogs are so funny!